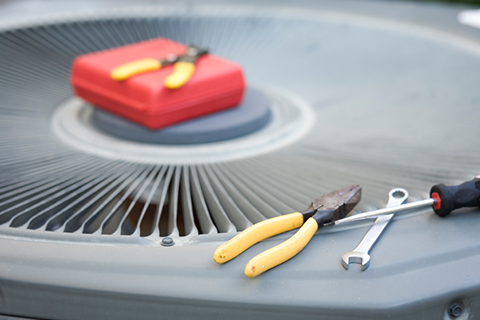 ​HVAC stands for Heating, Ventilation, and Air Conditioning. HVAC cleaning is the process of using specialized tools to remove dirt, debris, and contaminants from the various components that make up a building’s HVAC system, either in a residential (home) or commercial (business) setting. Because your HVAC system is responsible for temperature regulation and air distribution within your home, its cleanliness has a direct impact on the quality of the indoor air you breathe. In a home, HVAC components would include the furnace and the blower wheel, the air handler, the evaporator coil (A coil), supply and return air ducts, the air exchanger, boiler, etc. In a commercial building, HVAC system components would include the air handling unit (AHU) or rooftop unit (RTU), supply and return ducts, flat coils, VAV boxes, supply diffusers and return grilles, etc. WHAT ARE THE BENEFITS OF HVAC CLEANING? ​Air Duct Cleaning is the process of removing dirt, contaminants, and debris that have built up over time from inside the ducts associated with your home's furnace or air handler. The process utilizes a variety of tools, including high-powered vacuums (to create negative pressure), agitators (to loosen debris) and air wands and air snakes (to move debris toward the vacuum). Various tiers of service are available, depending on a variety of conditions, including time passed since the previous cleaning, whether animals are present in the home, whether any construction or remodeling has taken place, etc. Our Standard Air Duct Cleaning is a "maintenance" cleaning, intended for homes whose ducts are cleaned regularly—every 2 to 3 years. The process utilizes industrial vacuums, high-pressured air wands, and air snakes to clean all supply and return vents, branch lines, and main trunk lines. The service includes unlimited vents, up to 2500 square feet (only $20 for each additional 500 sq ft). Learn more. Advanced Air Duct Cleaning includes the standard process of using high-pressured air wands to clean all supply and return vents and branch lines, with the addition of the Viper Clean Sweep System utilized on the main trunk lines. Service includes unlimited vents, up to 2500 square feet (only $20 for each additional 500 sq ft). Learn more. This top-level cleaning entails the insertion of a Viper Microline into every vent, which forces any debris down the branch lines and into the main trunk lines, where the Viper Clean Sweep System is later utilized to propel everything toward the vacuum. Every inch of the ductwork surface is contacted. Includes before and after photos, and a furnace cleaning. Price covers up to 2500 sq ft. Add $40 for each additional 500 sq ft. Learn more. We offer air duct cleaning services in a wide array of commercial settings. During commercial duct cleaning, every component of the ventilation system is thoroughly cleaned, including the air handling units, fresh air intakes, variable air volume (VAV) boxes, supply and return ductwork, and diffusers and grilles. Learn more. Your chimney provides an exit from your fireplace for dangerous smoke and fumes. When its flue is clogged with buildup, or the structure is damaged, your home and family are put at unnecessary risk. 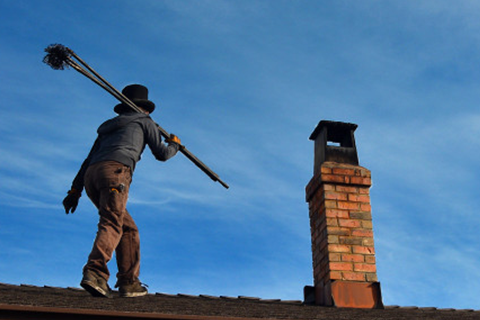 Chimney maintenance is important in terms of protecting your investment and maintaining the value of your home, and for ensuring your family's safety and comfort. Chimney sweeping services remove creosote buildup and any obstructions from the inside of the chimney flue, to ensure the unimpeded exit from your home of smoke and fumes. Chimney inspections should be performed regularly to ensure structural integrity and an unblocked flue. Chimney repair services correct conditions of damage and deterioration, restoring and helping to maintain structural integrity. Chimney repair services include chimney cap installation, crown repair and replacement, firebox repair, tuckpointing, brick resetting, and flue tile repair. The technician will sweep the chimney flue free of creosote buildup, remove debris with HEPA-filter vacuum, and conduct a Level 1 inspection to look for repair issues or potential hazards. Learn more. Level 1 and Level 2 chimney inspections are available from our CSIA-certified technicians. Learn more. We offer an array of repair services for chimneys, including chimney cap installation, crown repair and refurbishment, firebox repair, tuckpointing, brick repair, and flue tile repair. ​Learn more. decreased drying time as a result of increased air flow. We'll clean the dryer lint trap compartment, ducting system, and outside vent ​(a $50 surcharge will apply if dryer vents above the first floor or onto the roof). Learn more. 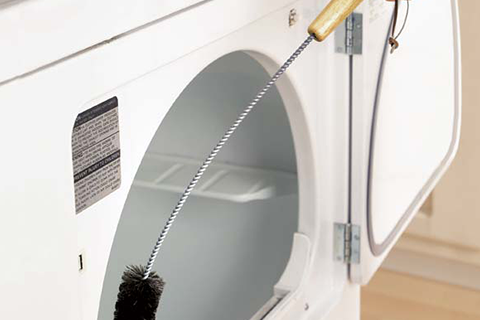 We offer dryer vent cleaning services in a wide array of commercial settings, including ​apartments, condominiums, townhomes, assisted-living facilities, medical clinics, salons, spas, etc. Learn more. As with fireplaces, appliances such as furnaces, boilers, and water heaters need their associated flues cleaned regularly to remove blockages and buildup. Blockages are often caused by plant debris and nesting animals, especially in the case of uncapped flues. Utility flue cleaning improves draft and minimizes the risk of harmful gases backing up into your home. In a process similar to chimney sweeping, the technician will create access by detaching the flue from the top of the appliance and inserting an industrial vacuum, creating negative pressure. The flue itself is cleaned utilizing either a rod with adjustable brushes, a tentacled air whip, or a retractable chimney cleaning system such as the Viper GFK, depending on the type of buildup or clog. The job is finalized by confirming that a flue cap is in place, and if not, recommending that one be installed. We'll clean the heat exchanger, combustion chamber, burners, jets, pilot light, blower motor, fan, and filter. We'll check the central air evaporator coil (A-coil) for proper air flow, check contacts and all wiring, check blower motor for proper functioning, and check the ignitor and flame sensor for wear. Learn more. Clean outside condenser with air pressure, check A-coil for proper air flow and clean drain line, clean furnace filter, check capacitor and all electronic components, ensure proper air flow to the filter and that the unit runs at the appropriate temperature, check refrigerant level and add more if needed (for an additional cost). Learn more. Remove boiler flue (where soot and Co2 exhaust) and attach vacuum. Remove faceplate, allowing access to the heat exchanger, then use high-powered air trigger with 12-inch extension (or, in cases of severe buildup, the Viper Clean Sweep system) to clean the heat exchanger and force debris and soot toward the vacuum. Replace flue and faceplate and dispose of any debris not taken in by vacuum. Relight pilot and turn thermostat up to make sure everything is working properly. Twin Cities Furnace Cleaning is an Equal Opportunity Employer and Service Provider. We will never discriminate based on race, religion, gender, or sexuality. We promise to always interact with our customers with respect and courtesy—from our administrative staff to our technicians. In that spirit, we cannot tolerate rude or disrespectful behavior, and if any of our staff find themselves on the receiving end, they will terminate the interaction or service at their discretion. Want an HVAC cleaning primer? Visit our blog article, "HVAC Cleaning Basics: What, How, Why, When, and How Much."